In the wars to come new silent deaths, new silent hurlers not yet dreamed out in the heads of men. In the old wars kings quarreling and thousands of men following. September 1, 1939 – World War II begins when Germany, without a declaration of war, invades Poland. Britain and France declare war on Germany on September 3, 1939. All the members of the Commonwealth of Nations, except Ireland, follow suit. Spring, 1940 – Germany invades Denmark and Norway. German troops overrun Luxembourg, invade the Netherlands and Belgium and drive their armored columns to the English Channel. Great Britain resists the German attempt to bomb it into submission, but it is the only Allied power remaining. June 22, 1941 – Germany invades the Soviet Union and destroys much of European Russia. However, the harsh winter curtails the German sweep to Moscow. Great Britain and the Soviet Union become allies. Initially, the United States' biggest concern is to protect commercial ships from attacks by German submarines. The United States formally protests the aggressive acts of Japan in China, Indochina, and Thailand. Despite attempts to maintain its neutrality, the United States enters the world conflict. December 7, 1941 – Without warning, Japan attacks Pearl Harbor. Early in the morning of Sunday, December 7, 1941, carrier-based planes of the Japanese Imperial Navy conduct a surprise attack on the United States Naval Base at Pearl Harbor. Approximately 100 ships – battleships, destroyers, cruisers, and support ships – are in the harbor that morning. The rest of the Pacific fleet is out to sea. 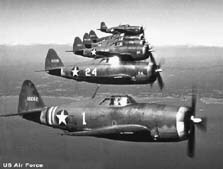 Nearby Hickam Air Field is also attacked by the Japanese planes. In the raid eight American battleships and 13 other naval vessels are sunk or badly damaged. 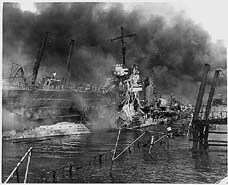 The USS Arizona is completely destroyed and the USS Oklahoma capsized. More than 180 aircraft are destroyed. Approximately 2,400 military personnel are killed. A hurried dispatch from the ranking United States naval officer in Pearl Harbor provides the first official word of the attack: "Air Raid on Pearl Harbor. This is not a drill." On December 8, 1941, President Franklin D. Roosevelt addresses the Congress of the United States. In this brief six-minute speech President Roosevelt delivers what some have regarded as the most famous phrase uttered by an American President: "Yesterday, December 7, 1941 – a date which will live in infamy – the United States of America was suddenly and deliberately attacked by naval and air forces of the Empire of Japan." I am voting in honor of my brother, Sumner A. Sessions, who served 32 years in the Air Force. He was a Pearl Harbor survivor, having been at Hickam Air Field on December 7. His military career included service in WWII, Korea, and Vietnam. I want to pay tribute to my husband, Louis R. Mathieson, who joined the Navy in May 1940. He was on the USS Oklahoma at Pearl Harbor at the time of the attack. He has been a good husband for 56 years and is the father of 5, grandfather of 10, and great-grandfather of 5. I am voting in honor of my grandfather, John Chase. He was too old for the draft but after hearing the radio announcement about Pearl Harbor, he immediately signed up. He served in the Army and went into Japan after the nuclear devastation. Joseph E. Cyr, my husband, was a Pearl Harbor survivor. He served in the military for 5 years. He died November 20, 1999 at the age of 80. We had been married 52 years and 3 months and we have 2 daughters. I am voting in honor of my husband Patrick W. Murphy, who served 21 years in the Navy, retiring as a Chief Petty Officer. He was at Pearl Harbor on December 7, 1941, on the USS Vestal at anchor by the USS Arizona. The attack yesterday on the Hawaiian islands has caused severe damage to American naval and military forces. Very many American lives have been lost. In addition, American ships have been reported on the high seas between San Francisco and Honolulu. With confidence in our armed forces – with unbounding determination of our people – we will gain the inevitable triumph – so help us God. I ask that the Congress declare that since the unprovoked and dastardly attack by Japan on Sunday, December 7, a state of war has existed between the United States and the Japanese Empire."